HTC has already confirmed that it will launch a new ‘U series’ phone at an event on November 2nd. The company has now posted a teaser of the phone that is coming next week. Moreover, the phone has also been spotted on the TENAA website. 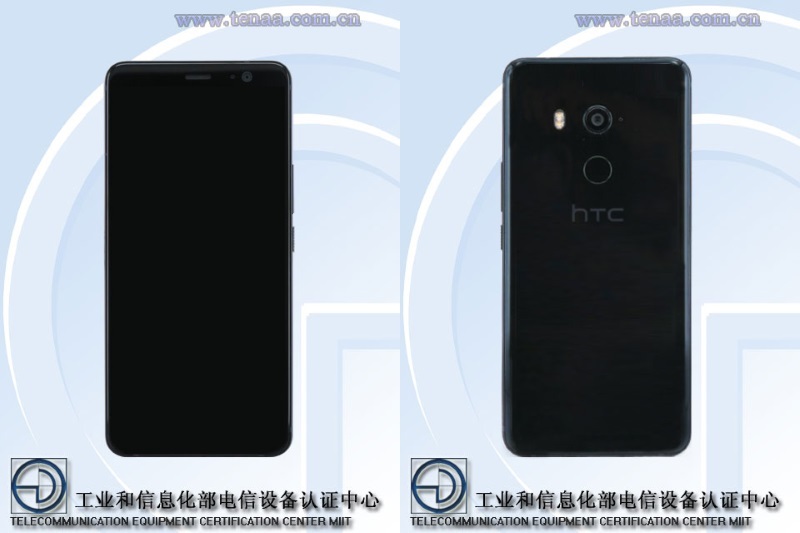 Based on TENAA listing images, the latest phone from HTC is likely to sport an 18:9 aspect ratio 5.99 inch display, a fingerprint sensor below the camera. It also hints at wireless charging support for the phone. The successor of U11 is expected to come with Edge Sense squeeze feature just like the U11. The leaked image of the back panel will come with a glass-like finish like the U11. The TENAA listing has no details about the hardware of the alleged handset. Based on preliminary leaks and the listing Geekbench benchmark site, we can guess some innards of the handset. The HTC U11 Plus is expected to feature a 6 inch (1440×2880 pixels) Quad HD+ display in 18:9 aspect ratio and come with Corning Gorilla Glass 5 protection. The HTC U11 is said to run on Android 8.0 Oreo. The HTC U11 Plus is powered by an Octa-Core Qualcomm Snapdragon 835 SoC with Adreno 540 GPU. It packs 6GB RAM with 128GB storage or 4GB RAM with 64GB storage. The storage is expandable up to 2TB with microSD. In the camera department, the phone is expected to feature a 12MP rear camera with dual LED flash and f/1.7 aperture. The camera will also be capable of 4K video recording. At the front, there is a 8MP camera. Connectivity options include 4G VoLTE, Wi-Fi 802.11 ac (2.4 and 5 GHz), Bluetooth 5, GPS + GLONASS, NFC, and USB Type-C. The phone packs 4,000mAh battery with Quick Charge 3.0 support. It is also said to be water-resistant with IP68 ratings. The HTC U11 Plus is expected to come in Black, White and Blue color options. Apart from the U11 Plus, HTC is also expected to introduce a mid-range U11 Life. The price of the U11 series phones and detailed specifications will be revealed once they go official next week.